It is the beginning of another year -2016. By this time last year, we were sulking over the defeat at Saint Mary’s. We wish you a prosperous New Year with the believe that the Premier League title is coming back to Ashburton Grove. 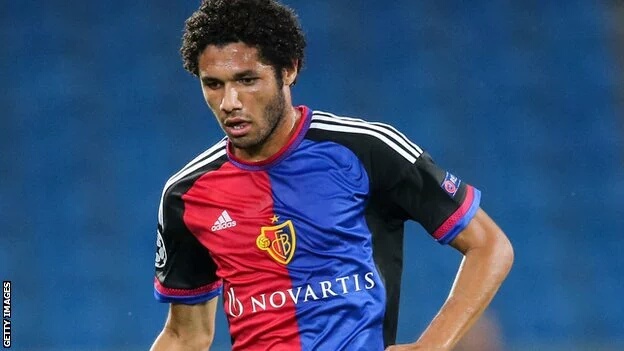 Mohamed El Neny is in the news. The 9 yards required to sign a player have been completed by Arsenal from Basel FC except a certain “work permit”. The 23 year old has apparently passed a medical, but recent changes to the work permit system mean his move has become more complicated. If a player had played more than 50% of his country’s internationals he was eligible, but this applied to the top 70 nations. It was recently changed to include only the top 50, which leaves the midfielder out of the loop. Egypt are 57th on the current rankings. While we wait for our new player, we have 3 points to pick up from Newcastle at the Emirates. Olivier Giroud has scored 8 goals in 7 games against Newcastle. Will he strike again today? You may want to put him in your FPL team. Ozil is expected to assist as usual, with Walcott providing width and options upfront. Chambers may deputize for Flamini since El Neny is yet to be announced. Expect Koscielny and Monreal to return to the starting line up. Will Debuchy still be around? – Arsenal have won all of the last five meetings between the two teams. – Newcastle have lost 18 of the last 29 matches against the Gunners, winning three of those 29. – The last time these two faced off, Newcastle didn’t manage a single shot on target in what was a 1-0 win for the Gunners earlier this season. 3 points is all we need today. Enjoy your game.